Homepage / Garden and terrace / Deckchairs in the garden and other parts of the home. Deckchairs in the garden and other parts of the home. Enjoying the good time at home after a busy week of work is always welcome. Recreate the outdoors, put your feet up or enjoy reading a good book recharges us with energy. 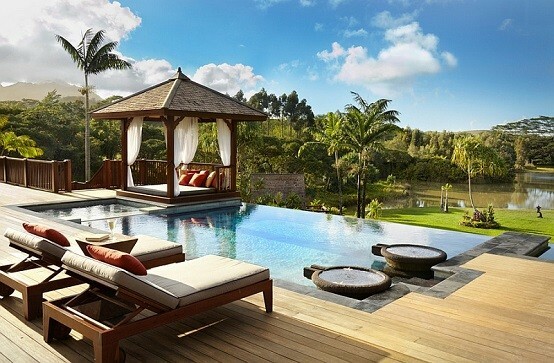 An outdoor lounger near a swimming pool or simply in our garden is the perfect way to enjoy the charm of nature. A lounger next to the pool or garden Not only adds a touch of sophistication to your terrace or backyard, it also gives you an opportunity for unforgettable romantic moments. At the moment we can find dissimilar designs all very daring. They are highly functional, comfortable and available in a wide variety of shapes and styles. Some sunbeds have large dimensions and very attractive geometric shapes, which makes them ideal for sharing with friends. This is the time to start planning how we will enjoy those moments of relaxation. The following proposal Touzet Studio It's a good start. 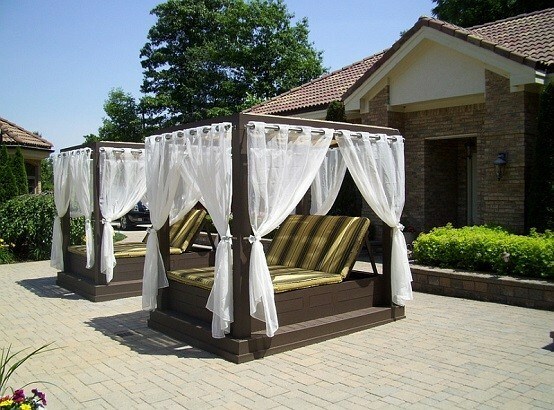 A lounger regardless of its design helps us to improve the attractiveness of our yard Or balcony. If we have an apartment, it creates a focal point in which all eyes are sure to converge. While some can function as couches that allow you to spend time in serenity and peace. Others as mentioned above offer amenities you can share with your loved ones. The deckchairs have a great variety of materials, being very popular the wooden and other elements resistant to the corrosion. It is important that they are light and easy to move when we are going to refresh the image of our terrace or garden. Selecting some cushions or combining them with cushions or pillows to our taste, will also add a lot of color and contrast especially to our garden. We can not forget a table for lounger, surely accompany the whole set, but we can add a different design and experiment with the shapes. There is a whole universe of options to explore!